Ronald Burnham Pyne - age 74, of Cambridge, passed away on Saturday, February 16, 2019, at home. Born in Northville, Kings County, he was a son of the late Shirley and Harriett (Johnson) Pyne. Ronald was a hard worker who was employed with Hayes Mill, Scotian Gold, Cobi Foods, Great Valley Juices and split wood for Wilfred Kinsman. He enjoyed walking and watching wrestling. 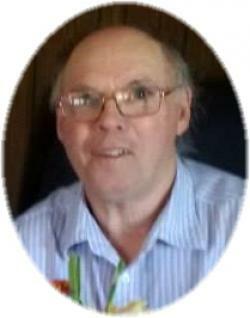 He is survived by his wife of 51 years, Helen (Dominey); son, Glenn (Judy), Berwick; grandchildren, Murray, Alex, Jessica, Annette and Allen; great-grandsons, Stefan, Mason and Emmett; great granddaughter, Caroline; son-in-law, Robbie MacFarlene; sisters, Pauline (Cecil) Bond, Lakeville; Elsie (David) Weatherby, Toronto; Rosie Hyland, Dartmouth; brothers, Paul, Arthur, both of Lakeville; George, New Minas; William Powell, Lakeville; nieces and nephews. He was predeceased by daughter, Janet MacFarlene; sister, Shirley Ann; brothers, Donald, Murray and David. Visitation will be held from 6-8 p.m. on Thursday, February 21, 2019 in the White Family Funeral Home, Kentville, where the funeral service will be held at 2:00 p.m. on Saturday, February 23, 2019, Pastor Christina Bigelow officiating. A reception will follow in the Cambridge Community Centre. Burial will take place at 11:00 a.m. on Wednesday, April 17, 2019, in the Lakeview Cemetery, Lakeville. Donations in memory may be made to the Heart and Stroke Foundation or the Canadian Diabetes Association. Funeral arrangements have been entrusted to the White Family Funeral Home and Cremation Services, Kentville.